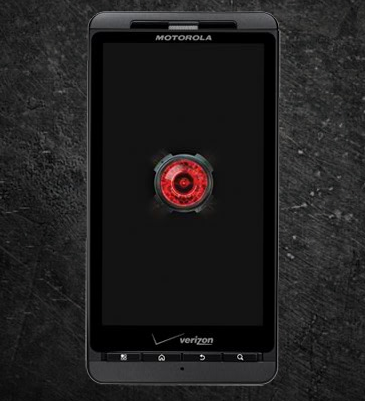 The refreshed version of the original and very popular Motorola Droid X - the dual-core Droid X2 with a hi-res qHD screen - is up online at VerizonWireless.com for $199.99 on a 2-year contract a whole week earlier than you will be seeing it in brick and mortar stores. 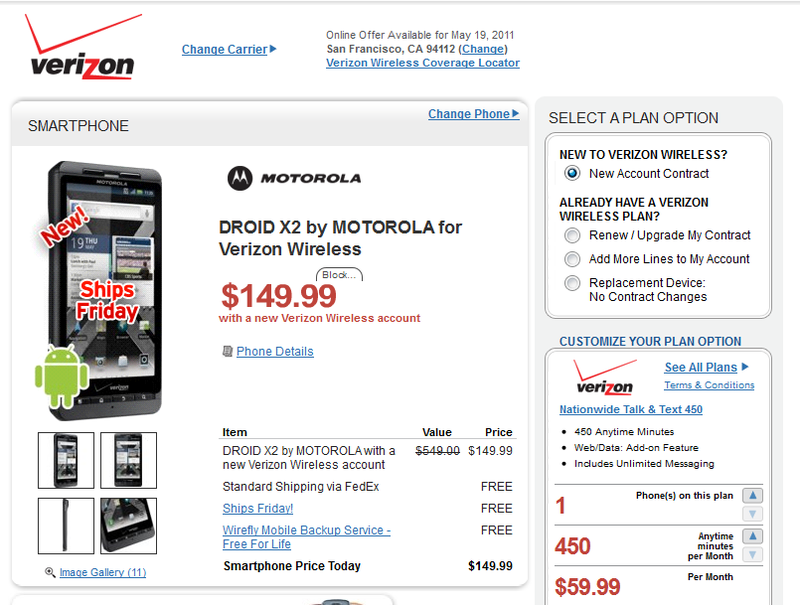 With free overnight shipping, you can rock Verizon's newest and, ironically, first dual-core Android phone by tomorrow (Bionic who?). 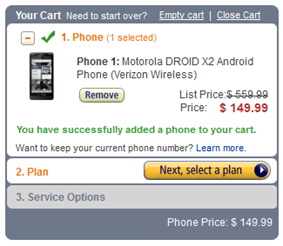 The Droid X2 features a dual-core 1GHz processor, a 4.3" qHD display, an 8MP camera with 720p recording (no 1080p :-[), HDMI with mirror capabilities, 802.11b/g/n Wi-Fi, DLNA, 8GB internal memory, and 8GB microSD. 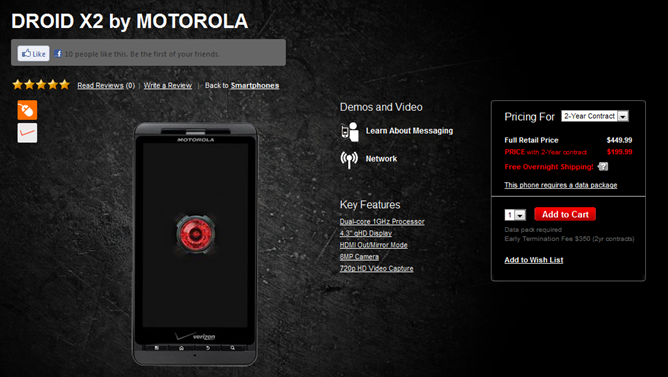 Sorry, no front-facing camera, 4G LTE support, or Gingerbread (the X2 ships with Android 2.2. "Froyo"), making this phone already a bit obsolete. However, if you don't need any of those and prefer raw speed with lots of real estate, the DX2 should be an easy choice on Big Red, until the Galaxy S2 comes along that is. 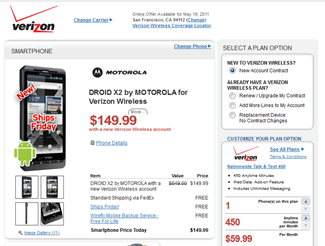 Apparently Verizon doesn't know their own products very well yet, as they list the X2 as having a "physical slide out QWERTY Keyboard." Not quite so, guys. If you can convince yourself to wait a few days, you should be aware that Wirefly and Amazon Wireless have the Droid X2 listed for $149.99, both with free shipping and tax-free in most states, making the deal quite a bit sweeter. And, of course, if PlayStation controls are your thing, don't forget about the Xperia Play pre-order that also went up tonight, ready for May 26th release. However, don't expect to find a dual-core processor or a giant screen if you go that route.